With an unexpected change in my work roster giving me an extra few days off, I recently found myself enjoying a 3 days paddling on the Upper Noosa river. 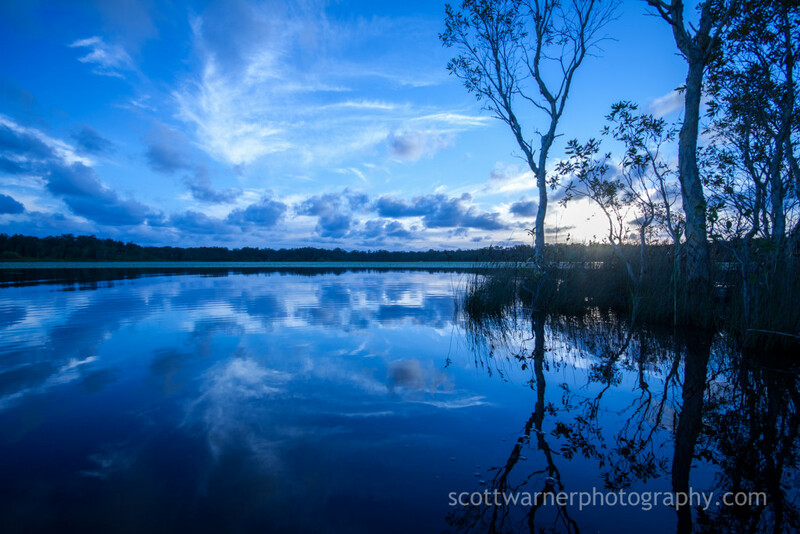 Located North of Noosa on Queensland’s Sunshine coast, the upper reaches of this river are a popular tourist destination and well known for tranquil, tanin stained water which produce incredible reflections. The crossing across from the launch at Elanda point is often a little rough in the afternoons and this afternoon was no exception. My deck bag containing my camera gear certainly was put through its waterproof paces and came through with flying colours. There were some promising looking clouds the first afternoon but the sunset was rather unspectacular but I made the most playing around with long exposures. Here’s one of me with a rod in the water enjoying the serenity. I spent the afternoon looking for a nice sunrise location and found this awesome tree at the far end of Lake Como which would make a striking sillouette. After a bit of a break back at camp I hit the water again to scout out where I was going to shoot the sunset. Ever seen a 2 headed Pelican before? Often the difference between a good photo and a great one is not the technical aspects of focus and exposure but composition and perspective. With that in mind, and after trying a number of compostions I set my tripod up in the shallow water and waited for the right light. This image above was my favourite from the trip, the blue in the image was achieved in camera but manually setting the White Balance to Tungsten. The following morning saw a storm bearing down on my camp and I had no desire to be on the water surrounded by lightning and heavy rain, as it turned out the storm fizzled before it arrived and I would have had time to get to my sillouette tree and back safely. Oh well – next time. A leisurely packup and then a exploratory paddle to check out some other potential locations for future reference – for those who know the area: did you know there is a small broken rocky buttress on the water near Fig Tree point?